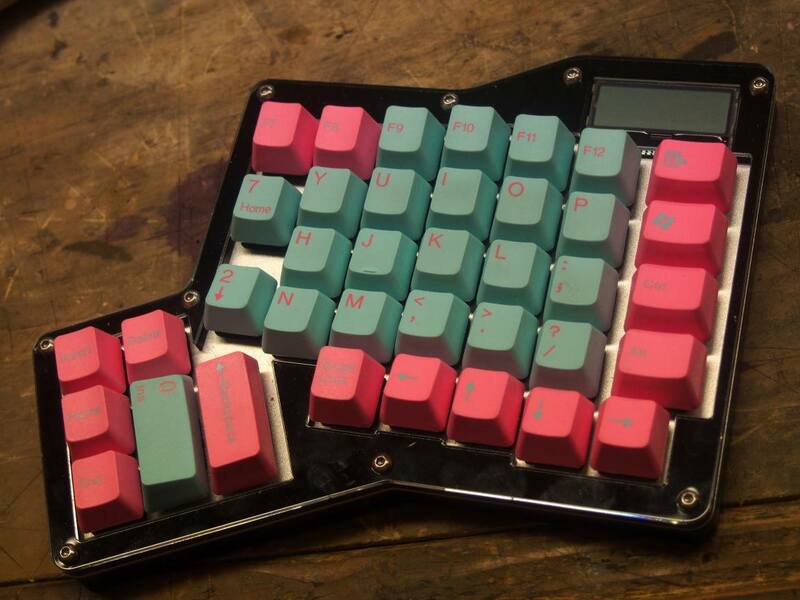 This week I laser cut my a new housing for my ergodox keyboard, in jet-black acrylic. 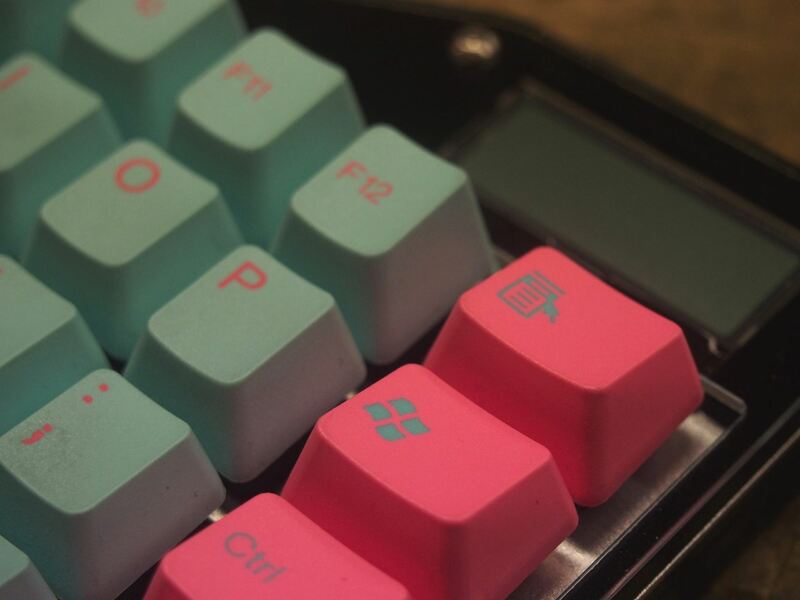 Paired with my keycaps, Tai Hao's Miami doubleshot keys, it's gorgeous. I had to buy 160$ worth of acrylic to build it, since Port Plastics only sells in 4x4 or 4x8 foot sheets, and I needed three different thicknesses of acrylic to put this together. 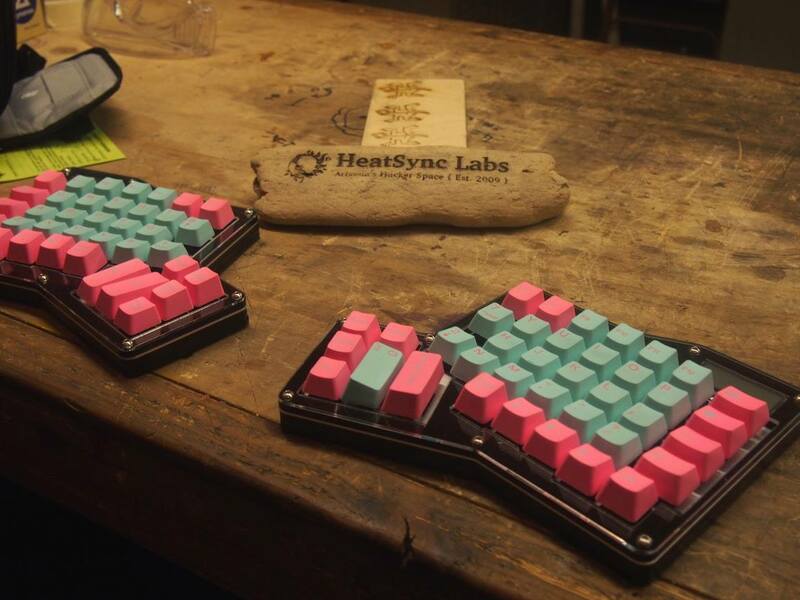 I cut a few sets, a backup and one for one of my lucky coworkers, and then donated the extra acrylic to HeatSync Labs, the wonderful little hackerspace in which it was cut.